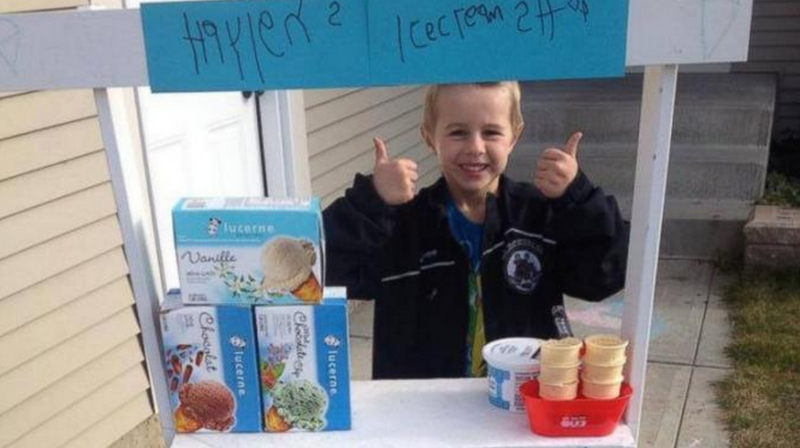 A few months after his fifth birthday last September, Haylen Astalos told his mother he wanted to build an ice cream shop to raise money for sick kids. The idea came to Haylen after his fifth birthday party when his family threw a “five-for-five” party. Haylen eventually picked the Ronald McDonald house, which is best known for providing help for the families of sick children. “They were awesome. They gave him a tour of the place and told him about what they do there and he was so excited. He just loved that place,” Astalos stated. Astalos helped her son build “Haylen’s Ice Cream Shop,” which sells treats such as popsicles and ice cream cones for two dollars each. Haylen has set the goal of reaching $3,009 to donate to the Ronald McDonald House. So far, he is well on his way to his goal.